← Was there a hockey game? The Brickner Seminar convened by the Religious Action Center of Reform Judaism and CLAL reminded me why I became a rabbi. It has taken me several days to process all that I learned and I am still deep in that work and hope that it never ends quite honestly. Sometimes when people ask, “Ellie, why did you become a rabbi?” I answer in this way. “One of the benefits of being a rabbi is that after five years of study I really earned a title that enables me to do lots of different kinds of work. 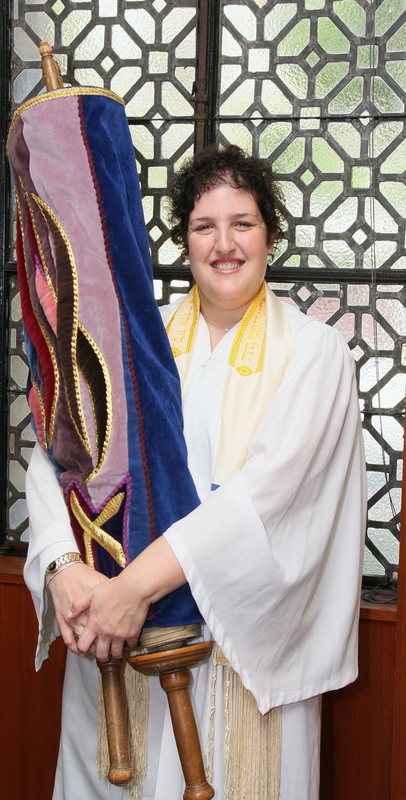 I’m not a specialist, I’m a generalist in making Judaism relevant.” Social justice is a big part of my being and thereby naturally is a huge part of my rabbinate, too. The Brickner seminar in a way brought me back to me. I spent four days with other rabbis. Some I knew, some I didn’t. I was reminded of the profound camaraderie that exists naturally amongst rabbis. It is something very special. It is like I spent five days with people who already speak the same language that I do. 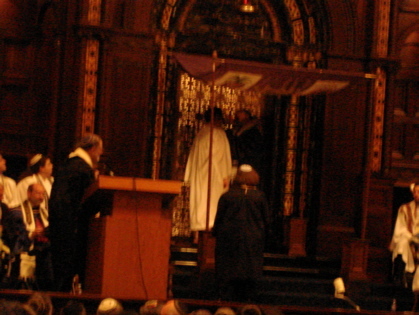 This isn’t to say that people I encounter everyday don’t speak the same language as I do, rather it is that the process of becoming a rabbi truly inculcates a language, an experience. It’s like walking into a room and already being part of the gang. Throughout the week we studied with Rabbis Tsvi Blanchard, Irwin Kula, David Saperstein, Lynne Landsberg, and Michael Namath. Additionally presentations were made by Marc Pelavin, Sean Thibault, and Jonathan Lange. I learned a new method of unpacking rabbinic texts that enables a student to make a seamless transition to modern texts such as bills and position papers. We studied in chevruta (pairs), as a large group, and I am still assimilating this methodology into my own learning, and I hope in time, teaching. I heard presentations about community organizing under the auspices of the Just Congregations initiative with the URJ using a model from the IAF, strategies for working with the media and advocacy on city, state and national levels were elucidated. In the end, all of these are strategies for making change. Change in an authentic way. One that will be lasting, rooted in Jewish tradition, and bring meaning to the lives of those involved in each step of the process. One powerful lesson of which I was reminded last week was the power of the pulpit. As a rabbi, I am lucky that sometimes people actually listen to what I say. It is imperative that I advocate for that meaningful change I described in the above paragraph because I can speak from Jewish tradition, that rich well that serves as an unending source of inspiration, questions, and suggestions for ways to live a life of meaning. I also need to be authentic and live the change that I want to see in the world. As a human being this is what I hope to do everyday, as a rabbi this is what I need to lead my community in doing, too. Rabbi Tarfon said, “the day is short, the work is heavy, the workers lazy, the wages high, the master of the house, insistent. He would also say, “It’s not your job to finish the work, but you’re not free to walk away from it,” (Mishnah Avot 2:15-16). I love my job. What are we going to do today?